Home > 2002 > Authors > Bible Study > December 02 > Lynnford Beachy > Nature of Christ > Nature of Christ > Newsletters > Questions and Answers > Son of God > Son of God Q&A > Truth About God > Truth About God Q&A > Is Jesus God? The word “god” has several different meanings. In a very limited sense, men are called god. Both the Greek word theos and the Hebrew word elohim, which are most often translated “god,” are used in reference to men. (See Exodus 7:1; Psalm 82:6; John 10:34) When the word “god” is used in that sense, then there are hundreds and thousands of gods. In a less limited sense, angels are called gods. David wrote about man, “For thou hast made him a little lower than the angels.” (Psalms 8:5) The word “angels” in this verse comes from the Hebrew word elohim. The way elohim is used here it denotes a type of being that is higher than man, but it is still used in a limited sense, and with this definition there would still be many gods. So to clarify, there are many gods when the word “God” is used in a limited sense, to include men and angels. When “God” is used as an adjective to describe the nature of God, then there are only two divine beings, God, the Father and Jesus Christ, His only begotten Son. When the word “God” is used in this sense, then yes, Jesus is God. The Son of God is completely divine by nature because His Father is divine, just as I am completely human because my parents are human. When the word “God” is used in its absolute sense, to denote “the most High God,” “the Sovereign of the universe,” or “the only true God,” then there is only one God, the Father, beside which there is no God. Some people think that God is beyond the possibility of having a Son, but Jesus said, “with God all things are possible.” (Mark 10:27) Let’s not limit God. If God would have a thousand begotten Sons it would not detract in the least from the fact that He is “the only true God,” the “one God” of the Bible. Lynnford, your use of “99%” when speaking of how many times “God” refers to the father alone is not accurate. the real number would be 99.96%. Sounds nit-picky, but to be 99% Jesus would have to have been called “God” 13 times, which is 4.25 more times than He was. Now, to play devil’s advocate, the trinitarian would also respond that since Jesus called Himself “I AM”, then every reference to God/Jehovah in the Old Testament is also calling Jesus “God” and of course that would rack up into the thousands. Thank you for your comment, Brother Voltz. You are right that the 99% is a little small for the reality, that is why I said, “more than 99%”. Jesus is the I AM of the Old Testament (John 8:58), but that, by no means, demonstrates that He is called “God” every time that word is used in the OT. The One Who appeared to Moses in the burning bush is called “the angel of the LORD” (Exodus 3:2; Acts 7:30). This Person claimed the title, “I AM.” This Person was Jesus Christ. Is it how Mormon says about Mormons becoming gods? Thank you for your question. No, Jesus is not God in the sense that Mormons believe they will become gods. 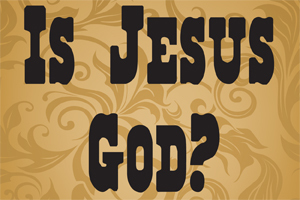 Jesus is God because His Father in the literal sense is God. This cannot be said about any human. It is difficult to understand what you say ‘His Father in the literal sense is God’ . Father in the literal sense? or ‘God in the literal sense’? Perhaps you meant ‘the true God’. Note that we cannot make god and God different (capitalizing) in meaning, since it is impossible to have any distinction in spoken language. Thank you for your comment ounbbl. You are right that there is no capital distinction in the original Hebrew or Greek texts of the Bible. I meant that God is “His Father in the literal sense.” I have a literal son who is of the same nature as I am, because he came from me. Everything that reproduces always reproduces “after his kind” (Genesis 1:21). Jesus said, “I proceeded forth and came from God” (John 8:42). He also said, “I came out from God” (John 16:27). The Bible says that Jesus is, “the express image of his [Father’s] person” (Hebrews 1:3). This is why I said that God is the literal Father of Jesus Christ, who is “the only begotten Son of God” (John 3:18). When the Scripture says God has a son or sons, the word ‘son’ is not same as used in ordinary English. [That’s how Muslim reject the biblical expression the Son of God.] To be logical and to be literary, it is much less confusing to say ‘someone is “as” son of God’. “God has sons’ would not make sense other than in biblical and church jargon. Jesus said, “I said, I am the Son of God” (John 10:36). The word “Son” in this verse was translated from the Greek word, υιος huios, which literally means in English, “son.” This word is used 382 times in the New Testament. The first time it is used is: “The book of the generation of Jesus Christ, the son of David, the son of Abraham” (Matthew 1:1). Notice this is referring to literal sons. This is the case throughout the New Testament. Notice how the word “son” is used here: “Saying, What think ye of Christ? whose son is he? They say unto him, The Son of David. He saith unto them, How then doth David in spirit call him Lord, saying, The LORD said unto my Lord, Sit thou on my right hand, till I make thine enemies thy footstool? If David then call him Lord, how is he his son?” (Matthew 22:42-45). When Jesus asked the Jews whose Son Christ is, they replied, “the Son of David.” They obviously understood His question and responded with their view of whose Son Jesus is. Jesus tried to point them to a higher sonship that He has with His Father in heaven. When Peter declared about Jesus, “Thou art the Christ, the Son of the living God” (Matthew 16:16). Jesus excitedly replied, “Blessed art thou, Simon Barjona: for flesh and blood hath not revealed it unto thee, but my Father which is in heaven” (Matthew 16:17). Jesus really is God’s own literal begotten Son. Remember that God had a Son before He created humanity with the ability to have sons. He knew what a Son is, then He gave us the ability to have sons so we can appreciate what He gave when He sent His Son to die for us. “In this was manifested the love of God toward us, because that God sent his only begotten Son into the world, that we might live through him” (1 John 4:9). “He that spared not his own Son, but delivered him up for us all, how shall he not with him also freely give us all things?” (Romans 8:32). Thank God for His wonderful love! The true God is not on the level of human at all; we can say about him only by way of anthropomorphic language. Yes, gods have sons in Greek mythology (whether people understand it ‘literally’ or not, is not meaningful). However, that our heavenly Father has ‘son’ or ‘sons’ cannot be taken as literal, but only literary (i.e. figurative and anthropomorphic). With our God, Son to Father and Father to Son are not used as generative terms (which would give a literal sense as in human family). Thank you for your comment. You claim that when God called Jesus “My Son” it was “figurative or anthropomorphic.” Do you have a Bible verse that tells us that? Some people have mistakenly concluded that God used the terms “Father” and “Son” to get across to our feeble minds a divine relationship (not Father and Son) that they could not possibly explain in our language. To come to this conclusion you would have to assume that God just happened upon this strange type of beings who have a strange language and manner of reproduction, and then was left struggling to explain Himself to these strange creatures. You would have to forget that God created our language and designed our manner of reproduction, after He already had a Son. God designed us with the ability to have a son, and then He exclaimed of Jesus, “This is my beloved Son…” (Matthew 3:17; 17:5). God means what He says even regarding our human relationships of father and son that He designed in His own image. According to the Bible, Jesus Christ was begotten, which literally means born, before anything was created—long before God sent Him into the world. (See Hebrews 1:1-9; Colossians 1:15; John 3:16, 17; 18:37; and 1 John 4:9.) How He was begotten is not for us to know, but God wants us to realize that He and His Son have a close, genuine, father-son relationship that is not just a role, or an act. ounbbl: Seems to me that you may not be a Bible reader. So, though there are many [even among so called Christian folk] who try to deny the son-ship of Christ [to the one almighty God] it is actually a defeat of the entire “gospel” theme which is that “God” gave us his Son. Oh, one thing that has to be realized is that Jesus actually has at least two births… one spiritual (the “Word” from the Father (God who IS SPIRIT) and the second birth as a human being – human just like you and me… with the adage that it was the Father’s good will that Christ be filled with the “fullness of the spirit”. So, actually I think you were on to something, because physical birth and spiritual birth are two different things. 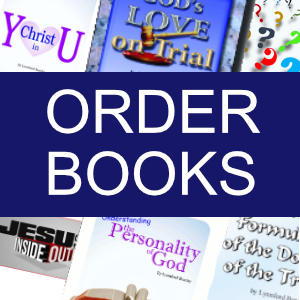 John 1:1 indicates how things were in the beginning before anything was created – (the Word was with God; remember God is Spirit), then that part of God became externalized. Hence we can say that God was once begotten with Jesus exactly like a Mother is begotten with a child. Thus the term; “Jesus is the only Begotten Son of God”, is very true. Everything else was created including heaven and this universe and all living things. Now, it is possible for one to become brothers and sisters of Christ and if your heart leads you to want to know, seek it out for your self… the adoption to sonship through Jesus Christ! Hello Rebecca, Thank you for posting. You brought up an excellent question. Yes, Jesus is God because His Father is God. John 1:1 actually demonstrates that very well. Jesus existed in eternity. He is the very first and only begotten Son of God. There was a point in eternity past when, as He said, Jesus “proceeded forth and came from God” (John 8:42). To learn more about this, please read my short book, “Understanding the Personality of God” here https://presenttruth.info/personality-of-god-chapter1. I would be very glad to know your thoughts on this, so please write me or post comments here so we can continue the discussion. May the Lord abundantly bless you and your family above what you can think or ask. Could you tell me what church you belong to please? I am not a member of any denomination. Present Truth Ministries is non-denominational.